In this episode, host Neil Howe talks to the owner of Out Of This World Marketing in Oklahoma City about how restaurants and hospitality businesses can generate traffic and attention using the power of social media and customer generated content. Chris helps restaurants and hospitality groups create, maintain, and expand their customer base and sales via digital marketing, social media, videography, and web design. He’s grown Out Of This World Marketing from a part-time side hustle to a ... See More full-time, 3-person team. 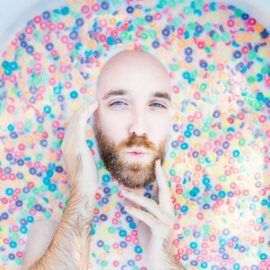 Listen in for the story about the Picture: Fruit Loops, Gallons of Milk and a Bath Tub!